Brady Harris-Year of the Pug. 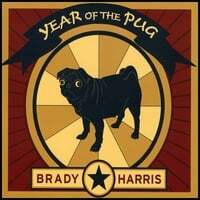 Year of the Pug is Brady Harris' sixth album, and he's the standard-bearer of the sub-sub-genre known as "Beatlesque Americana". A Texan who now calls LA home, Harris may have his best release on his hands here. With Lennonesque vocals similar to Plasticsoul's Steven Wilson, Harris will appeal equally to fans of Beatle-pop and roots-pop, and the opener "Floating" is a moody mid-tempo number with a striking melody. The rootsy ballad "Sailing on a River" is another winner, featuring the Minus 5's Tucker Jackson on pedal steel, and "Mersey Waltz (Sing a Sad Song)" does its title proud. Other standouts include Michael Penn-like "Slipping By" and "That's All I Need" which is reminiscent of "Hey Jude" without the na-na-na's. One of 2010's finest to date. 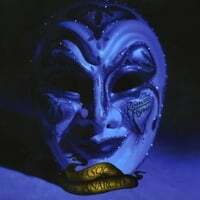 The Romeo Flynns-Masque of Anarchy. When this CD first crossed my desk, I was a bit concerned. Here were The Romeo Flynns with the followup to their great Detroit-styled power pop 2008 debut Pictures of You, and it was titled Masque of Anarchy and had the cover you see over to the right. My first thought was "Oh God, they've gone and decided to put out a bad prog-metal album." But one spin in the CD player put those fears to rest - while the Flynns have decided to branch out a bit, they haven't abandoned their Motor City and power poppin' roots. They show their ambition here with the loose concept of addressing these tough economic times, but in my eyes the only concept album I believe in is the concept of having 10-12 killer tracks. So after a snippet from a British radio broadcast, they get down to the business of rocking your socks off with the title track and "Dance the White Line". Then they forever endear themselves to me with a great cover of my favorite Badfinger track, "Baby Blue". But they're more than one-trick ponies, as evidenced by the downright jangly "Falling Down" and the Merseyside ballad "Annie". And they know how the pull the curtain down - the closer "Don't Leave Me Now" is the kind of melodramatic power ballad that Cheap Trick is known for. So the lesson here is don't judge an album by its cover, or even its concept. Many thanks Absolute Powerpop! Thanks for listening and writing. Cheers, yo!